Search Engine Optimization (or SEO) is the combined art and science of getting found by the search engines for appropriate searches. Whether we are discussing being found on a local, a national or a global level being found by the people that are looking for your products, services and information is vital to your success. The professionals at Peak Reputation are up to that task, as we stay constantly up to date on what is going on in the Search Engine Marketing world. Local Citations – Optimizing your listing on over 300 Directory Sites and constantly resubmitting and updating them is just where Local SEO begins. Getting Reviews From Your Clients or Customers – The reviews left on sites like Yelp! and Angie’s List (not to mention more industry specific websites) becomes more and more important to getting those top SEO listings. Fresh Content – Google loves fresh relevant content. Provide the type of information on your site that tells website visitors that you are the authority in your particular marketplace. The Peak Reputation Local SEO Team are masters at implementing these items and getting you those top spots in the search engine results. 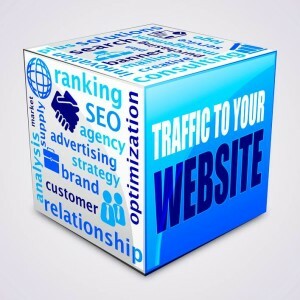 This includes everything from a larger area withing a nation, to truly national Search Engine Optimization. This gets into the markets that are more and more competitive, meaning that your onsite SEO work absolutely must be spot on! Regional SEO means that all of the above items that apply to Local SEO come into play plus a lot more. Those additional items include specialized Social Media work, advanced content marketing strategies and aggressive work on support websites. The Peak Reputation Regional SEO Team can and will achieve your Regional SEO goals using aggressive, professional techniques designed to keep you in good standing with Google and all other search engines. This is where the SEO rubber meets the Google road! Obtaining and maintaining global SEO Rankings takes constant pressure using every tactic above individually, and in tandem. The Peak Reputation Global SEO Team makes certain that all tactics used are fully in compliance with Google’s best practices. This is why when others are bemoaning their lost SEO positions when there is an update, our clients reach new heights. These teams are of course really just one team. The Peak Reputation SEO Team is comprised of individuals with unsurpassed experience in all areas of Search Engine Optimization. When our team takes on a project, the objectives of Peak’s clients become their objectives too, and they are tireless in achieving them. Request a Free SEO Consultation today and let us show you all that this amazing team can do for you, your website and your business.